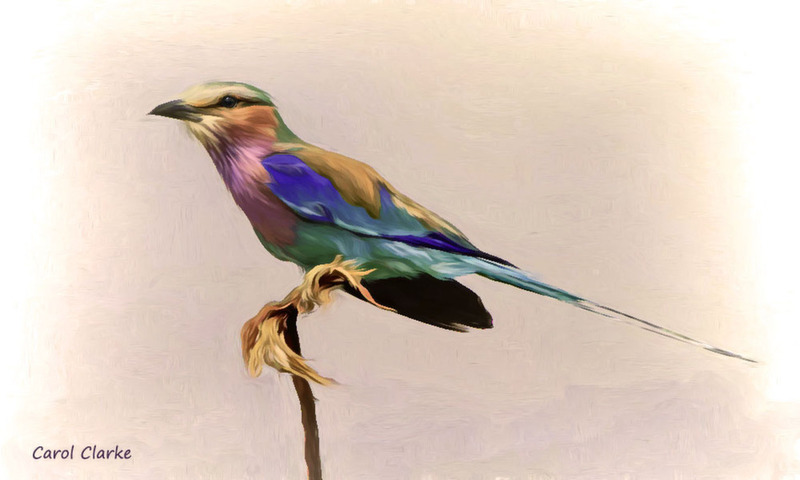 Lilac Breasted Roller in pastels. Please click for full view. With a little help from Topaz Impressions and PS. A beautiful image and colors! Must be clicked on for full impact. Such a beautiful bird and treatment Carol. Your artistic vision and sensitivity captures the essence of this Roller perfectly. Could not have said it better. Gorgeous image, Carol. Congratulations on the EP. Beautiful and a perfect effect for the colorful bird. Excellent work on this colorful subject madam. Looks like I'm late to the party! Wonderful, colorful treatment Carol- I think all has been said- an exciting and artistic approach...but that's only what I would expect from you! Thankyou all for your kind comments. Always much appreciated.